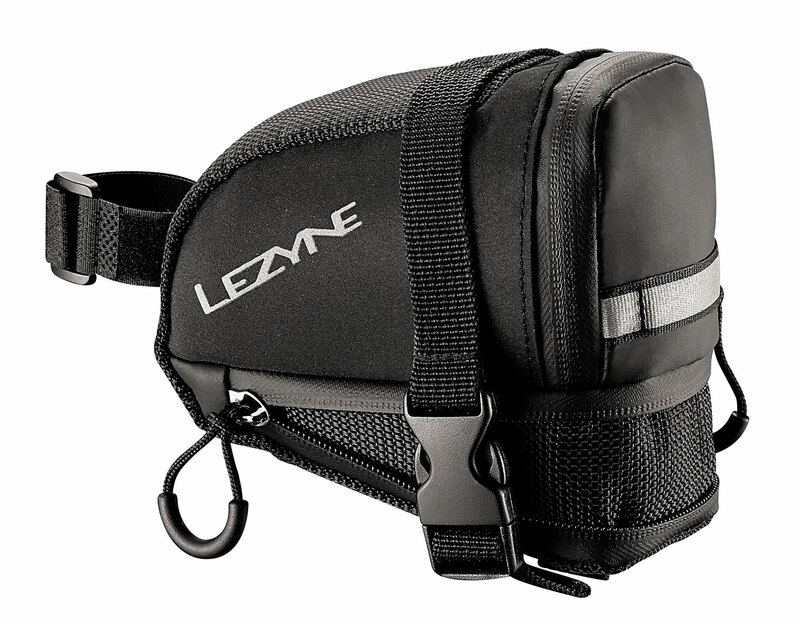 Expandable wedge-shaped saddle bag. Buckle system attaches to saddle rails and seat post. Durable woven nylon construction. Labeled internal organizational pockets. Reflective logos and loop increases night visibility. Water resistant zipper with large pull loop.